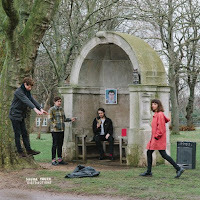 Distractions is the second LP from London based Sauna Youth. Stuart Ralston enjoyed their slight Buzzcocks tendencies. Distractions is the follow up to the 2012 album Dreamlands and sees London / Brighton 4 piece Sauna Youth delivering sharp, frantic punk nuggets. Opening with a brief instrumental track, End Loop, it is over in the blink of an eye before Transmitters brings the LP to life. It absolutely flies out of the traps. The lead single from the album is as good a punk pop classic as you'll hear this year. New Fear keeps the party going before the aptly titled Monotony is, well, monotonous. It is saved by some stunning bass playing from Christopher Murphy, delivered in the style of The Fall's legendary Steve Hanley. Sticking strictly to the punk ethos, most of the songs on the album, such as Cosmos Seeker, Abstract Notions and Modern Living don't outstay their welcome. Tracks like these and Leather very much remind me of an amphetamine fueled Buzzcocks. Paul shows a different side to the band. An almost industrial / Velvets / Joy Division inspired spoken word interlude, it runs to less than a minute. It hints at another direction that I would love to see the band exploring. Try To Leave has a slightly poppier air to it, like long lost '90s riot girls Huggy Bear. It is one of the album's highlights along with (Taking a) Walk, which sees Jen delivering a spoken word set again a Velvet Underground soundtrack. The Pastels inspired Creeping brings the album to an almost euphoric ending. 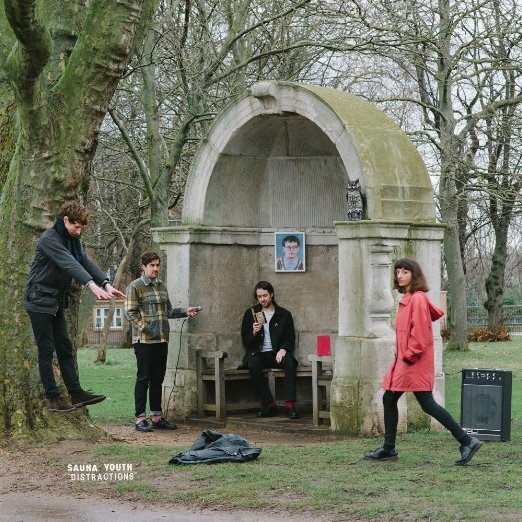 There are lots of ideas presented on Distractions and Sauna Youth are more than just a power punk pop combo. We look forward to hearing more from them. Sauna Youth are on Facebook and Twitter.